Sometimes in life, there is no better way to understand a complicated issue such as civil rights, than through the tender eyes of a child. 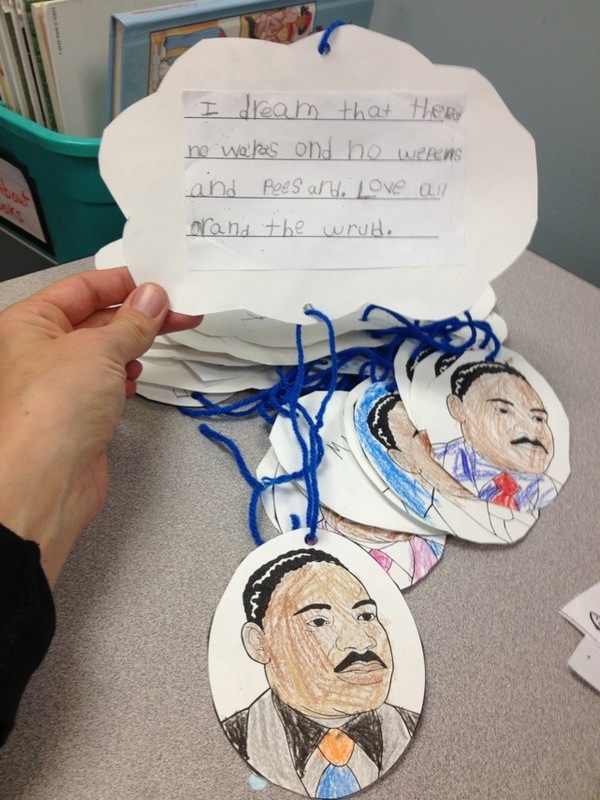 I had the opportunity to volunteer in my son Max’s first grade class last week, and they were learning about Martin Luther King Jr. 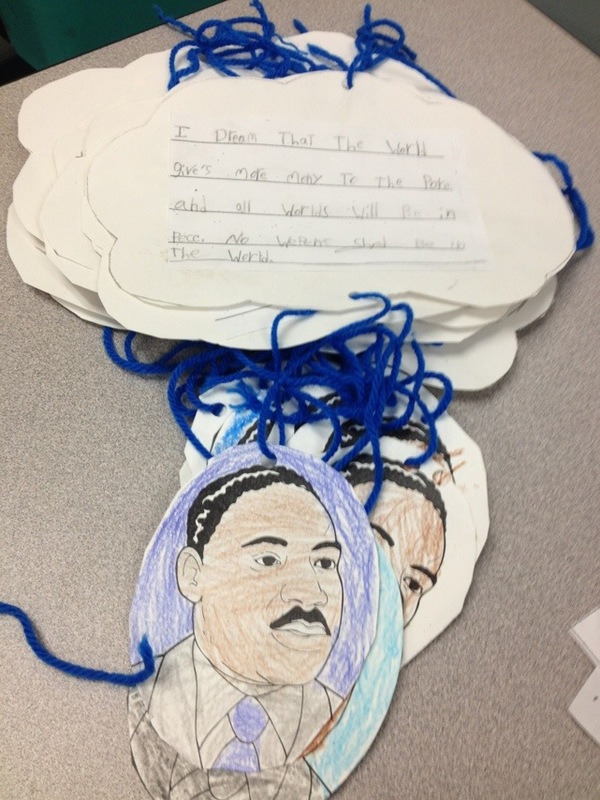 Through art and creativity, here are their dreams of the future…. That all bombs will be sent to outer space. For a complete view of Martin Luther King Jr’s life, click here. Here is another great link regarding his biography on the Nobel Piece prize website. Through the eyes of babes, you have given us a stunning post for this important holiday! Well done, Nicole. May all their dreams come true! 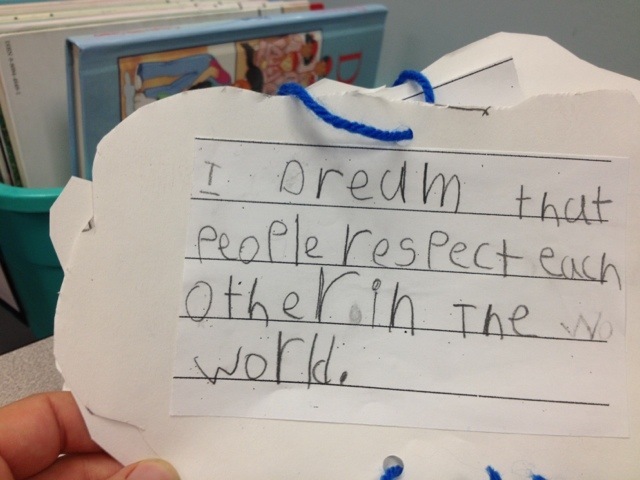 Perhaps the next generation will make peace happen.